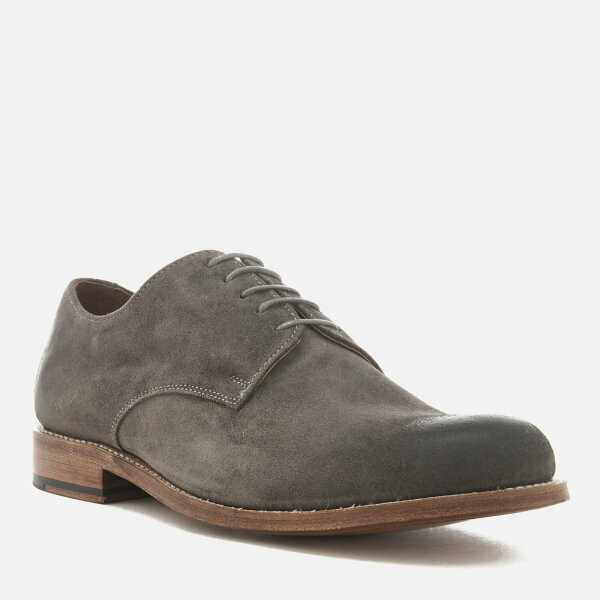 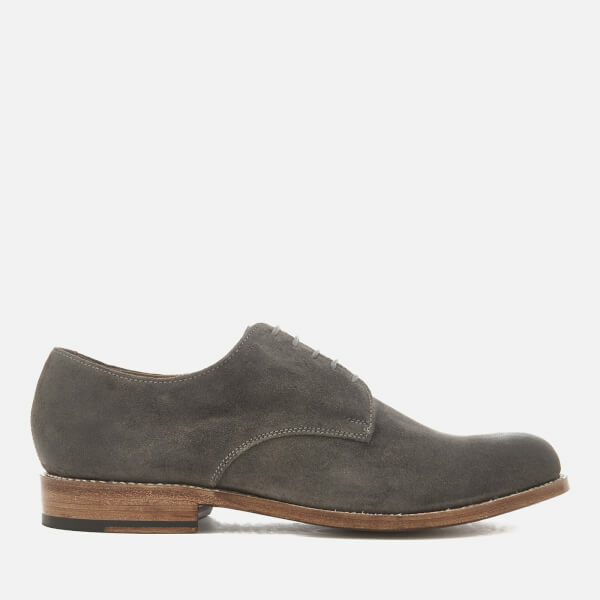 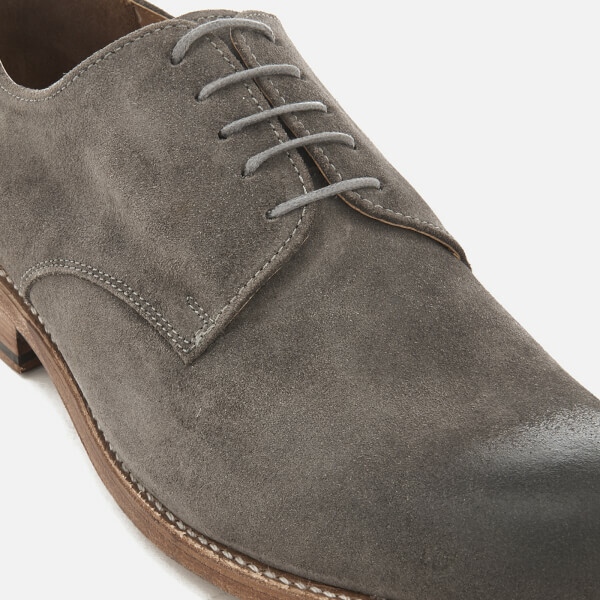 Men’s grey suede ‘Finlay’ Derby shoes from heritage British shoemakers, Grenson. 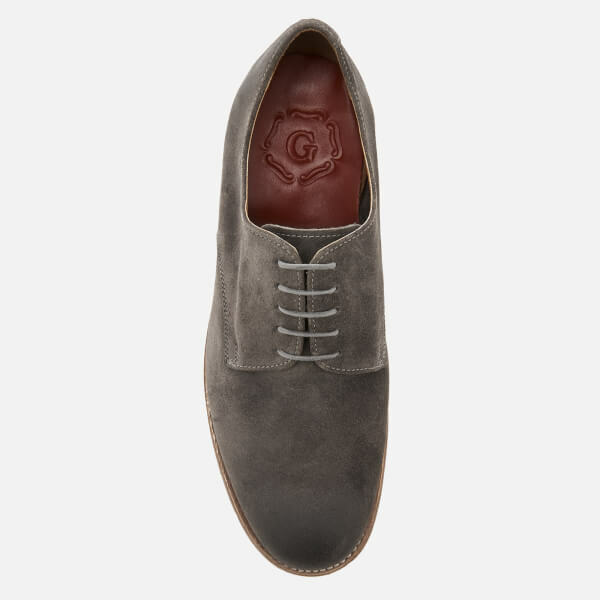 Crafted from soft suede, the classic Derby shoes are constructed with a round toe silhouette and a five-eyelet, wax lace fastening. 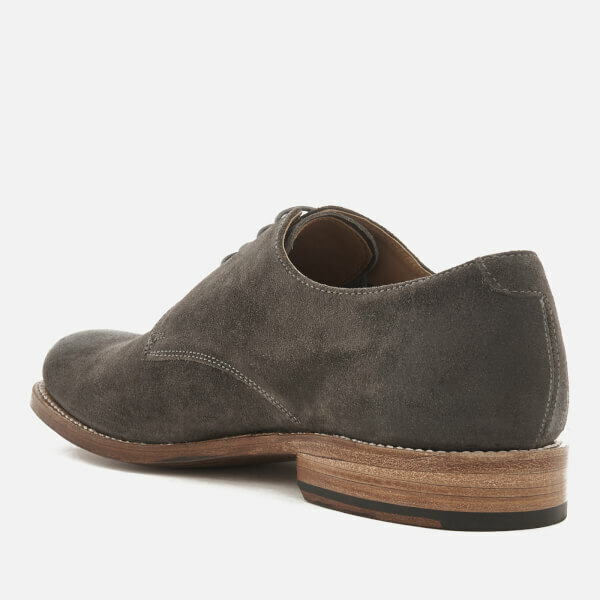 Set on a natural split welt and made on the 201 last, the shoes are detailed with single leather soles and a small heel. 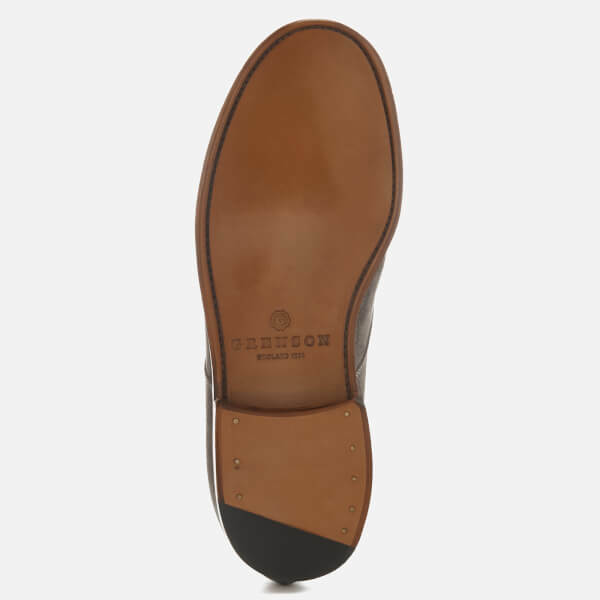 Complete with white stitched details, a gentleman’s corner on the heel and a comfortable padded leather footbed.